This is an Ultraviolet digital copy code for Rogue One: A Star Wars Story. 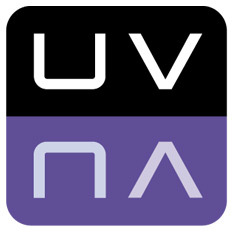 Instantly after your payment, you will receive an unused redeem code, which can be entered into the ultraviolet software in order to get a legal digital download and/or stream of the movie! Gareth Edwards directs this sci-fi adventure set in the 'Star Wars' universe, featuring a stand-alone story written by Chris Weitz and Tony Gilroy. After being recruited by Rebel Alliance leader Mon Mothma (Genevieve O'Reilly), former criminal Jyn Erso (Felicity Jones) is tasked with stealing the plans for the Death Star so that the weapon can be destroyed before it causes damage to the galaxy. Teaming up with Rebel Captain Cassian Andor (Diego Luna), master swordsman Chirrut Imwe (Donnie Yen) and a band of hardy freedom fighters, Jyn takes on the might of the Empire in a challenge tougher than anything she could have imagined. The cast also includes Ben Mendelsohn, Forest Whitaker, Mads Mikkelsen and Alan Tudyk. Click the button below to add the Rogue One: A Star Wars Story (Ultraviolet Digital Copy) Code to your wish list.